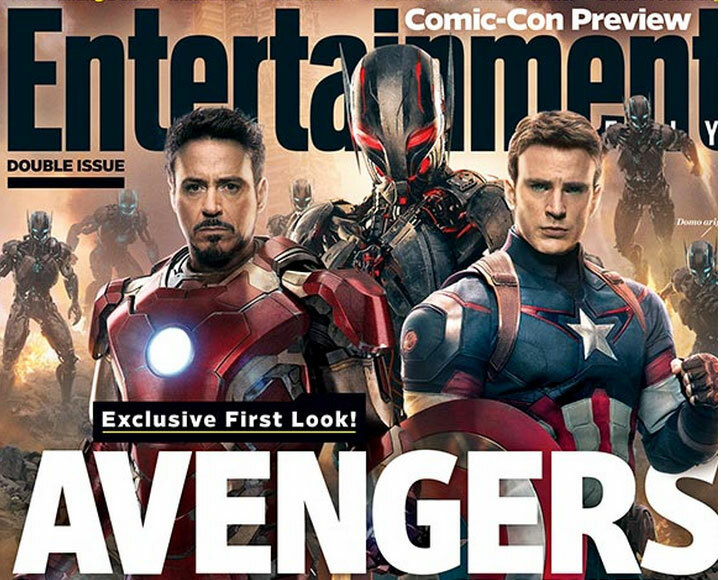 Much to the excitement of movie-lovers and comic book nerds alike, Entertainment Weekly released an exclusive first look into Avengers 2, Age of Ultron, with a Comic-con preview cover awesome enough to make even the chilliest of admirers blow their steam. I mean, just look at it, if that doesn’t make your inner fan-girl or fan-boy scream I don’t know what will. With an intriguing story line and snazzy new costumes to boot, such as black widow’s tron-esque electro-suit, and the Hulk’s improvised expand-pants, the internet is buzzing over speculation of what the Marvel movie has to come. After saving the world on what seems to be an almost consistent basis, the world’s favourite super-hero tag-team are starting to feel a little rundown in the Avengers 2: Age of Ultron – and who can blame them? Over-worked and under-rested, the Avengers decide that it might be time to hand someone else the saviour-reigns for a little while, presumably so that they can enjoy a little R&R with their loved ones. I mean, it’s not a terrible thought, they definitely deserve some time to chill after everything they’ve done for us as a planet, but unfortunately, the decision to step back for a while just leads to more trouble. There really is no rest for the wicked (or superhero good in this case). When we last left The Avengers franchise, it was with the destruction of the admittedly corrupt S.H.I.E.L.D, leaving the heroes ready for a break. With Robert Downey Jr’s Iron Man destroying all of his suits in the latest Iron man movie, it looks as though he’s ready to hang up his (metaphorical) cape for good, prompting him to devise an ingenious, if not slightly flawed, plan to give himself and his companions a much needed siesta. Tony Stark designs and creates a self-aware, constantly evolving artificial intelligence referred to as ‘Ultron’ in an attempt to carefully assess and deal with threats using his drone army, the iron legion. Because a self-aware robot with the power to control an incredibly difficult to destroy army couldn’t possibly go wrong. Right? However, much to everyone’s surprise, Ultron, who will be played by James Spader in the movie, ends up going a little bit off the rails. Without those pesky human conditions such as compassion, emotion, and whatnot, he uses his far superior intellect to conclude that the earth would be a much safer, and more peaceful place if he just got rid of the number one plague that seems to be causing the most trouble: humans. Oh dear. Unlike the previous Marvel movies, it’s not so much some big baddie trying to take over the world because he wants to rule everything and have people ‘kneel’ before him, instead, he genuinely just wants to make the world a better place – by killing us all. Loki’s goals were actually pretty tame in comparison. 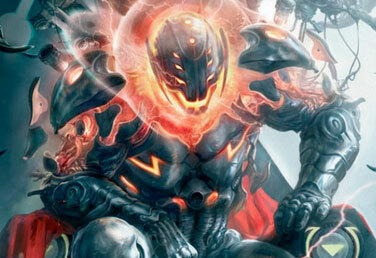 Ultron wants to save us all. However, his solution of how to do that is based on the idea that we would be better off not existing whatsoever. He’s also a pretty difficult guy to beat, because he’s not just a hard-core robot that can be defeated with a bit of short-circuiting. He’s an entire program that is capable of uploading and downloading himself, as well as building and rebuilding himself into bigger, badder, and far stronger forms. I don’t know about you guys, but I genuinely can’t wait for the Avengers 2 to be released into cinemas on May of 2015. I will definitely be first in line for a ticket.